The Internet is a great way for people to find companies worldwide. 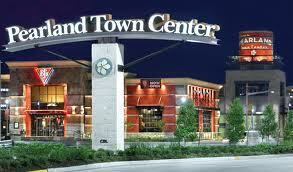 But suppose you run a local Pearland company, like a restaurant, fitness center, or auto repair shop. If a family in California found you online, that probably wouldn’t do you much good. After all, a family looking for a pizza parlor in California is unlikely to visit your Pearland restaurant. You want to be found by local people who you share a community with. Partnering with a professional SEO company can help you target local people who want to buy your specific goods or services. Using proven web design techniques and strategic SEO, we can optimize your website so people in the Pearland community will find your business easily on major search engines like Google, Yahoo! and Bing. How SEO Might Work in Pearland, TX? Let’s say you are looking for a local photographer for your wedding. You type “wedding photographers in Pearland, TX” in the Google search bar. You will get a lot of hits and when you find one you like in the top five or so listings you will likely stop looking. Now let’s say you own a photography studio in Pearland, TX. If your website does not rank highly in the major search engines, your potential customers might stop looking before they find your site. They will choose one of your competitors without even knowing you exist! That is why you need to optimize your website with the help of an experience Pearland, TX SEO company. Almost 100 million people in the US use a search engine daily to find products and services on the web. Out of 100 million people, about 60 percent are seeking local companies. This percentage is sure to increase due to the growing “buy local” movement. If your business can’t be found on the top of search engine results pages, you are invisible to these potential customers. They want local goods and services and they want them now and they are using the Internet to find them. As more and more people turn to the web for information, you won’t be able to keep up by simply enhancing your use of traditional marketing channels like Yellow Page, local newspaper, and radio ads. If you own a company in Pearland, TX or the surrounding area and would like to be found by more customers online, contact us at 281-764-9070 or fill out the form below for a FREE web site analysis and price quote. We look forward to hearing from you.